The recipes included in my cookbook were carefully chosen in order to represent the ethnicities of Malaysia. The diversity of Malaysian cuisine makes it unique and vibrant with exciting flavours. For each ethnicity, there is a mixture of festive dishes like rendang and many street food dishes too. I've honestly struggled to list down a few of my top street food picks as every street food dish included in the book were the best out of hundreds of well-known street food dishes in Malaysia. This flakey bread can be a bit tricky to make in order to stretch and get a thin layer that creates the texture but once you get the hang of it, it's fun to be able to make from scratch. In Malaysia, this dish is eaten for breakfast and served with curry dip accompanied with a sweet tea to drink. 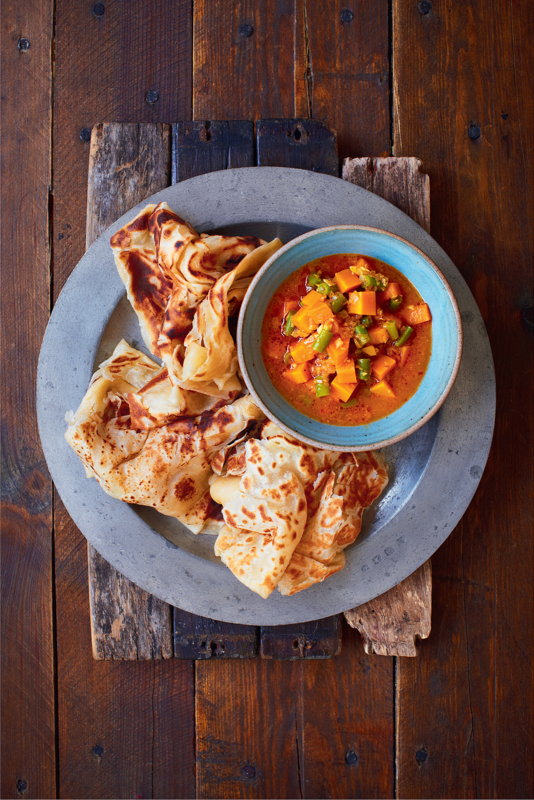 The best way to eat Roti Canai is by using your fingers to tear the bread and dip into the curry gravy. Make it yourself here! I'm always so proud when I inform my cookery class students about the origin of this noodle dish, which is from my hometown Penang. This is a famous Malaysian Chinese street food dish and the best can be only found in Penang, as I'm sure all Penangites would agree. If you happen to stand nearby the stall selling it, you would smell the garlic being fried, followed by the prawns and cockles. It makes you instantly hungry! The wok gets smoky with full high heat which adds flavour to the noodles. With soy sauce and chilli paste added to it, this dish is simply addictive and a favourite to have in the evening and sometimes for breakfast. This is one of a few dishes that my mum sold at her stall to support our family. The smell of coconut added to rice with spices like cinnamon, star anise, cardamom and pandan leaves makes this rice so aromatic. The rice has to be served with condiments like fried crispy anchovies, boiled egg, peanuts, cucumber and sambal gravy, otherwise it would not be complete and called Nasi Lemak. The authentic way of serving this dish is by wrapping it in a banana leaf. Banana leaves are not edible but it is safe to wrap food in them, and it's traditional. Malaysians have this for breakfast and like most Malays and Indians, use fingers to eat the rice. You can never go wrong if you serve satay at a barbeque, especially when accompanied by delicious peanut sauce. 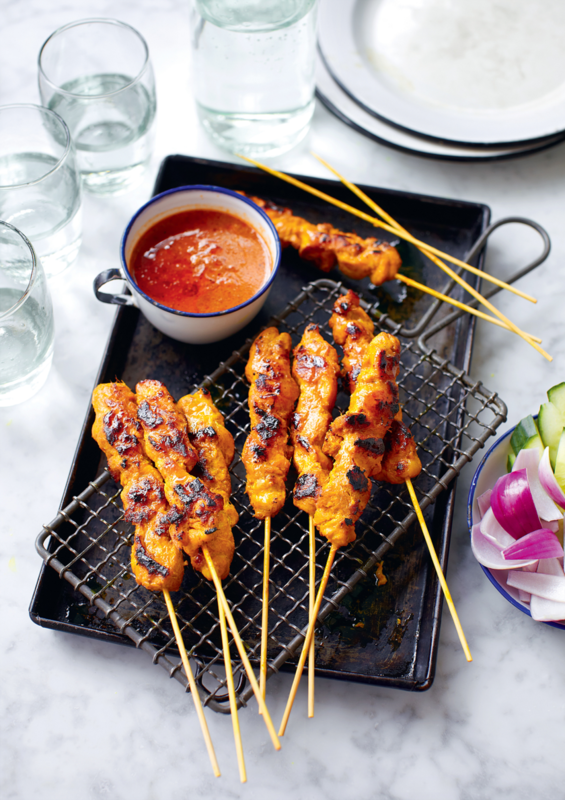 The simple marinade for this satay is made of lemon grass, cumin, turmeric and sugar and is so moreish, you will keep having one skewer after another. Satay is one of Malaysia's favourite street food dishes. The best way to eat it is by holding the skewer at one end and then dipping it into the thick peanut sauce. Get it nicely coated and then eat it all in one go. For a good satay, the meat either chicken or beef used should be succulent and juicy.Make it yourself here! 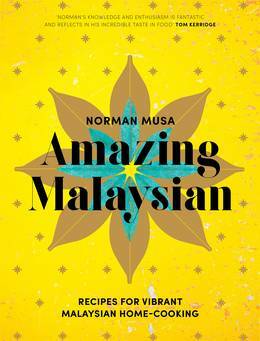 If you want to find out (and cook of course) more of Norman's street food picks, order your copy of Amazing Malaysian here. Who’s the author? Norman Musa was born in Butterworth, Penang. 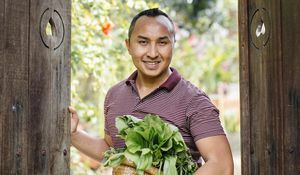 He has since lived in the UK for 21 years, opening his own restaurant, Ning, in Manchester but has never forgotten the flavours and foods of Malaysia. 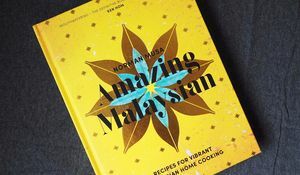 Our YouTube manager, Joanna, gets to grips with Norman Musa's Amazing Malaysian and tries out the recipe for Vegetable Egg Fried Rice at home. Spices are essential in Malaysian cooking. 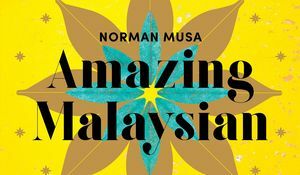 Norman Musa, author of Amazing Malaysian, gives us a guide to Malaysian Spices and lets us know what he has in his spice cupboard.